The Protestant Church of Algeria (EPA) has reaffirmed its desire to regain control of several former churches used today for other purposes. Christians are the distinct minority in Algeria, representing less than 1% of Algeria’s 38 million inhabitants, and often face restrictions when seeking to build new churches. The presence of Protestant Christians in Algeria dates back to the French colonial era, when a number of churches were built. However, after the country gained independence in 1962, many of these buildings were given to other purposes. One example is the church of Mostaganem in the north-west of the country, which became a clinic in 1976. In January 2012, the clinic moved locations and the EPA sent one of its members to guard the premise in the hope of restoring the building to its former use. However, local authorities ordered the closure of the premises and the expulsion of EPA members, instead allowing a charity to move into the building. The EPA filed a complaint against both the local authorities and the charity. “Instead of returning the church, located in the city centre, to the EPA, local authorities have just given it to a charity,” Pastor Mustapha Krim, EPA President, told World Watch Monitor. “The occupants broke in and changed the locks,” he said. The situation of Mostaganem is not an isolated case. 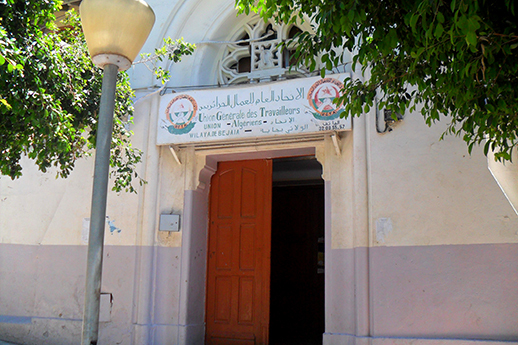 In the north-eastern city of Béjaïa, a church once belonging to the Evangelical Reformed Church (now the EPA), was given by local authorities to the General Union of Algerian Workers (UGTA) after the church’s pastor fell seriously ill and returned to France. Now, Protestants in cities like Béjaïa and Mostaganem are petitioning for their old churches to be returned. “I started to take the first steps in 2003,” explained Krim. “I turned first to the Governor, who never replied. I wrote at least eight letters requesting hearings to previous Governors. Once, one Deputy Governor received me, he filled a small file, and since then no news. In addition, we sent a letter to the Ministry of the Interior and even to the Presidency, but nothing has ever transpired. After completing in vain all the administrative procedures necessary for the recovery of the church, the EPA brought the case to court, but there have been no tangible results. The case is currently with the Council of State (a high court responsible for settling disputes) and the next development may take time, EPA’s lawyer told Word Watch Monitor. For now, the two Protestant communities in Béjaïa continue to hold their meetings in the cramped confines of an administrative block of buildings, which hosts corporate and medical offices. Article 36 of the Constitution guarantees freedom of conscience, while freedom of worship is guaranteed by Article 2 of Ordinance No. 06-03. But since the promulgation on March 20, 2006 of a law regulating non-Muslim worship, there have been a number of attacks and acts of intimidation against Christians. 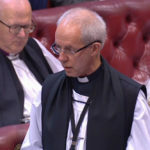 In May 2011, the Governor of the north-east province of Béjaïa invoked the 2006 law to order the closure of seven Protestant churches accused of operating “illegally”. In January 2011, the Tafat church in the northern Kabylie area was reportedly ransacked and set on fire by radical Islamists. Many Christians have been charged under the 2006 Act for “actions tending towards converting a Muslim to another religion”. Sentences range between two and five years’ imprisonment and a fine of between 500,000 and one million dinars (5,000 to 10,000 Euros). Several cases remain unresolved, including that of Mohamed Ibouène, who was sentenced on February 14, 2013 to pay a fine of 100,000 dinars for proselytizing. He has appealed the ruling, but the date of a new trial is not yet known. In 2008, Christian teacher Habiba Kouider was charged under the 2006 law for illegal possession of Bibles. Her trial drew widespread media attention and contempt from the European Parliament and human-rights watchdogs such as Amnesty International. The case is on-going. Algeria is ranked No. 29 in the 2013 World Watch List of the 50 countries where Christians are most under pressure for their faith. The creator of the list, Open Doors International, claims pressure on Christians in Algeria is increasing, due primarily to the Islamization of the region in the wake of the Arab Spring.